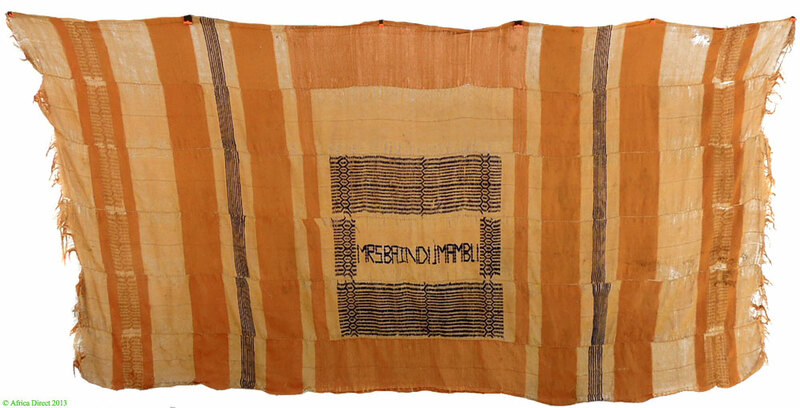 Additional Information: An old and well used Hausa or Fulani blanket woven with cotton warp yarn and wool weft yarn. This textile is a tapestry cloth- like formed by decorative motifs and colored stripes sewn together. 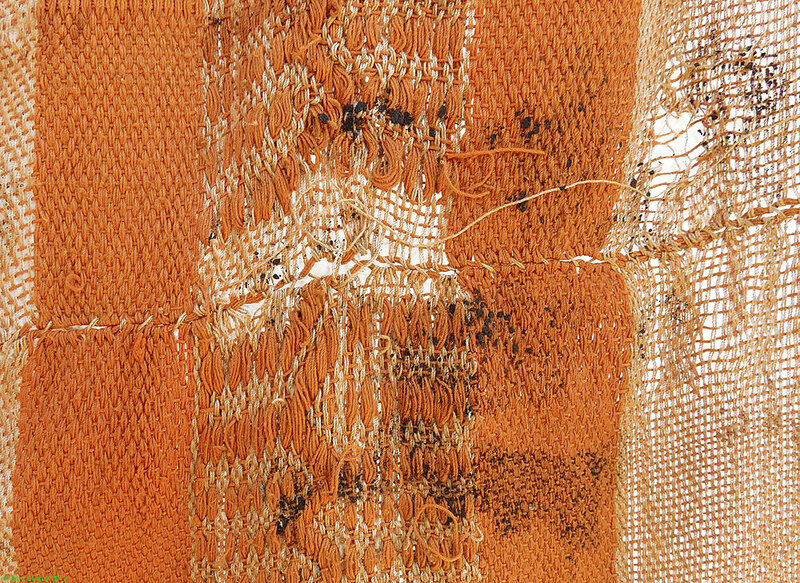 On this textile the weaver had used his hands to sew the stripes. The motifs in the borders and in in the center of the blanket suggest an influence from woolen Fulani Khasa blankets. 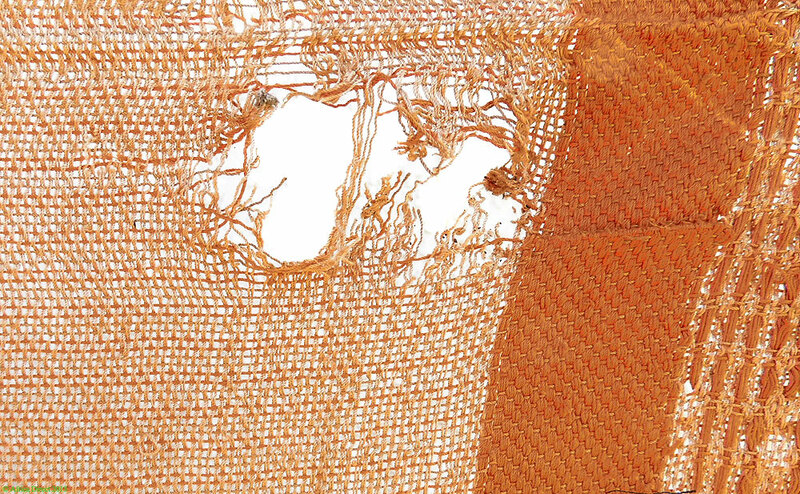 This textile was used as a wedding blanket and as a cover to protect against the cold and mosquito. The Hausa continue to produce some fine woven textiles, primarily in the Kano State of Northern Nigeria, as well as exquisite, tightly-woven baskets. Hausa men wear flowing embroidered robes called "riga," which are prized by collectors, and identified most often with the Hausa, but these textiles are not unique to the them and are, in fact, worn by several groups throughout the region.